This year (2018), MT Alpha Cycling is kicking off its first Road Team! We want you to join! The MT Alpha Road Team will be comprised of highly experienced women racers (TAMARA BASSETTE!) and women who have never ridden in a group before! All levels are encouraged to join! 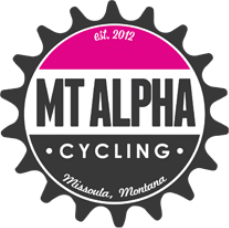 As an experienced racer on the MT Alpha Road team, you will have a platform to train with other women riders and race as a team in local (and regional) events like the Montana Gravel Challenge! As a new road rider on the MT Alpha Road Team, you will get to learn the "rules of the road" from experienced women. You will be able to casually throw around coveted road lingo like "pace line" and "take a pull" and "lead me out for the sprint!" AND you will learn how to do those things too! After volunteering for at least 2 events, the opportunity to buy the MT Alpha Cycling Kit. The road team will consist of both Race and Club team members. Please see our "become an Alpha" page to read about the differing requirements for the Race and Club Teams.